We use our own APIs to run HESPro. In it's original edition, HESPro replicates the HES Consumer site's functionality, adding a feature for managing a portfolio of homes under analysis. Future additions will add more functionality for professional users. 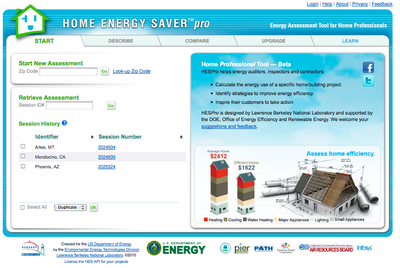 HESPro is designed by Lawrence Berkeley National Laboratory and supported by the DOE, Office of Energy Efficiency and Renewable Energy.